What can SoulCycle teach law firms about brand loyalty? I’m an avid exerciser, and I’ve tried everything from spinning to marathon training to hot yoga to pilates. When SoulCycle first opened its Bethesda studio late last year, I had to give it a try. For years I’ve heard (from friends, family and colleagues) about the intense 45-minute cycling class that works your body and mind, and I’ve wondered what keeps riders coming back. What does SoulCycle offer that a generic spin class at a local gym doesn’t, and why does this homegrown workout have a cult following? After one class, I was hooked. So, what is it about this brand that keeps me (and thousands of others across the country) coming back? And what can we in the legal community learn from it to apply to our own marketing and PR efforts to foster brand loyalty? Through its branding, SoulCycle has created a unique, welcoming feeling. You can go to a studio in New York City, Washington, D.C. or Los Angeles and know you will experience a consistent quality of service with the same trademarked bike, hip yet Zen atmosphere, and first-class instructors. But the brand isn’t entirely uniform, as the company gives ample consideration to the needs of its specific audiences. While the studios across the country are branded with the signature lemon wheel, the overall experience varies by class, and each rider can pick an instructor that best suits his or her preferences. For example, the morning class geared toward stay-at-home moms can be much different from the evening class geared toward the 20-something crowd. Law firms should take notice. While a firm’s office in New York may look different from its office in Silicon Valley, the level of service, the attention to detail, and the core practices and values must translate from office to office. One firm that does a great job with brand building is Freeborn & Peters LLP. The law firm has given extensive consideration to its unique culture, which rests on five core values. By making these values public, the firm is able to make an implicit promise regarding its services to its clients, its prospects, its potential hires, and its current staff and attorneys. By developing this community, SoulCycle creates dedicated brand ambassadors who relish in helping to build its business. I, for one, have referred at least five friends to SoulCyle over the past month, thereby building its local customer base. Attorneys are the front-line ambassadors of their law firm brands, along with staff, clients and other industry contacts. The more a law firm can cultivate a community around its reputation, the more it is likely to inspire this type of favorable brand perception among its stakeholders, which results in increased loyalty and more business. SoulCycle has a great story to tell. Two motivated women who couldn’t find a cardio routine they liked in New York City founded the company in 2006. They opened their own indoor cycling studio, offering a challenging workout with a spiritual element. According to its website, the company has since opened 36 locations nationwide, with approximately 50,000 people riding every week. SoulCycle also uses its community blog to introduce instructors and share “Soul Stories,” creating a personal, heartfelt connection among its membership. Law firms can take a page from this playbook by incorporating more transparency into their content marketing efforts. When we as publicists and marketers develop honest stories that incorporate emotional elements, our audiences feel a sense of trust with our brands. It’s a level of trust that is difficult to cultivate through traditional marketing tactics. SoulCycle can count me among its ranks of fans. Even though I’m fully aware of the strategies they’re using to attract me to their brand, I don’t mind. They are fulfilling their implicit promise to offer me a fun and energetic, community-oriented fitness class that exercises my body and my mind. 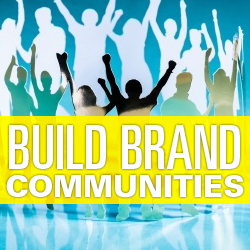 The more law firms can incorporate these branding tactics, the more they’ll see the benefit. What brands are you loyal to and why? Leave a comment, or write to me, Lisa Altman, at laltman@jaffepr.com.